It’s the same with your central heating and boiler. Annual checks and servicing are crucial to maintaining an efficient heating and hot water supply.Very few people consider it sensible to run a car without making sure it’s regularly serviced. In fact a well serviced car is considerably more valuable than one without those all-important service stamps. It’s also mandatory for landlords to have an annual boiler, heating system and gas appliance check and be in procession of a valid Landlord Safety Certificate. 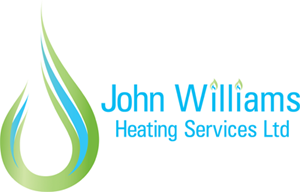 Our engineers have a range of qualifications including Gas Safe – CCN1, CENWAT, CKR1, HTR1, CPA1; OFTEC and an unvented hot water certificate, so you can be assured that all servicing is completed to the highest standards. We also have engineers who specialise in LPG and oil boilers and Aga cooker and Rayburn cooker ranges. We make sure your appointments fit into your busy schedule and if parts are required, we usually have them in stock, or aim to source them as quickly as possible. Call our Team now on 01249 709024.